Naval personnel attached to the North Central Naval Command, during a search operation, recovered 05 gunny bags washed to the beach of Urumalei in Talaimannar yesterday. The suspicious sacks contained 150kg and 540g of Kerala cannabis stuffed into smaller bundles. 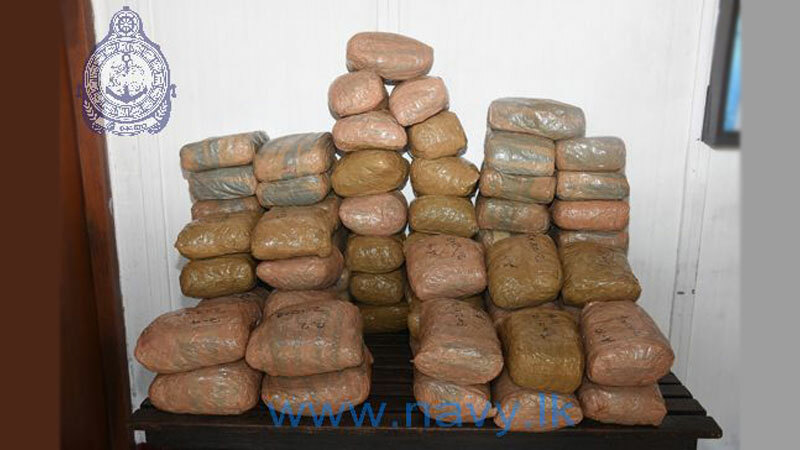 The haul of Kerala cannabis was handed over to the Police Narcotics Bureau in Mannar for onward investigation.